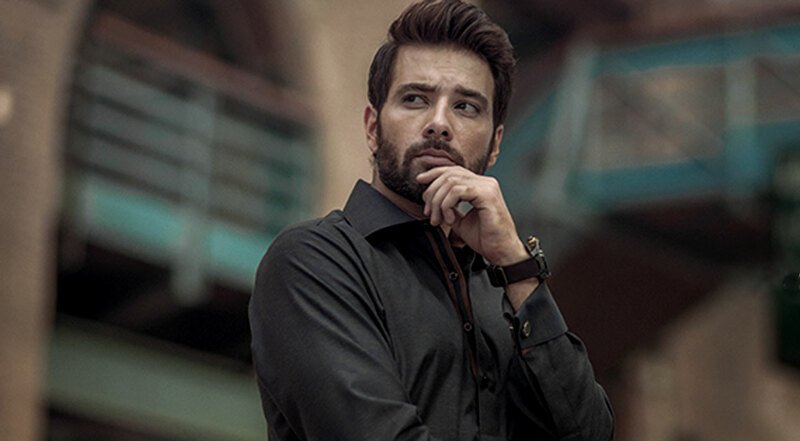 Heartthrob Mikaal Zulfiqar has already weaved his way into the hearts of the audience with his powerful roles in the TV serials, including Alif Allah Aur Insaan and Sang-e-Mar Mar. And news is that we will now be seeing more of the actor this year and that too on the silver screen! In a recent interview, the actor revealed that he is part of four films which are scheduled to be released this year. He will commence the year with a cameo in the much-anticipated Cake, starring Adnan Malik, Sanam Saeed, and Aamina Sheikh. According to Zulfiqar, his role in Cake is an “extended guest appearance”, and that “After watching the promos I wish I had a bigger role in it.” According to speculations, it is believed that he will be playing Sanam Saeed’s love interest; but we will have to wait and watch! Other of Mikaal’s films include Sherdil, Na Band Na Barati and a film tentatively titled The Trial. Sherdil, which has been garnering a lot of hype, is based on the air-force jawaans and also starres Armeena Khan. “Sherdil is a war film and it has been a dream to essay the role of a fighter pilot,” the actor said. The actor has also been sharing behind the scene pictures from the film on Instagram. Na Band Na Barati has been shot entirely in Canada and revolves around two brothers who shy away from marriage. The film which is a romantic comedy is expected to release mid-year. The Trial touted to be a romantic drama is a love story between a Pakistani boy and a Bengali girl and is set against the backdrop of the fall of Dhaka in 1971. “As far as my role is concerned, I am essaying the character of a young student leader who is strong and heroic,” Mikaal revealed. With so many projects under his belt, Mikaal sure has his hands full this year!